Happy Holidays! We want to let you know about a wonderful opportunity to double your donation to the St. James Infirmary. Every Holiday Season, each Peet’s Coffee & Tea store selects a charity as a beneficiary for their “Holiday Tips” Donation. On December 24th, Christmas Eve, Peet’s offers FREE coffee and tea to all it’s customers, and all the money collected in the TIP jar goes to the St. James Infirmary. Additionally, Peet’s will match donations in the tip jar up to $1,000. 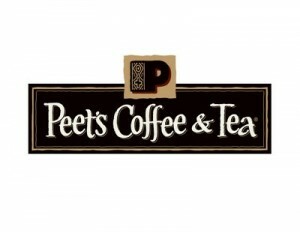 On December 24th, Go to Peet’s @ 3rd & Mission for your free coffee or tea BEFORE 4pm (Bring your Friends & Family!!). Put a generous TIP of CASH or a Check made out to: St. James Infirmary in the Tip Jar. Peet’s will send us ALL the donations in the TIP Jar AND Peet’s will match donations made, up to $1000. We’re grateful to the staff at this store, for thinking of us & supporting St. James in our mission to provide free, nonjudgmental healthcare to the marginalized populations of San Francisco. If you are unable to make it to Peet’s Coffee & Tea on December 24th, you can make a holiday donation via Paypal. All the money donated will go directly to program services. The staff, volunteer and participants of the St. James Infirmary want to thank you for your support, and wish you a Happy Holiday & a Merry New Year!